Hayes Hurricanes notched up their fourth consecutive Premier League win against Bexley on Sunday with a convincing 156 run victory. Put into bat opener Robyn Still batted beautifully to score a run a ball 77 and was given good support by Laura Marsh who made 27 in quick time. There was a middle order collapse as Hayes stumbled to 130 for 6. 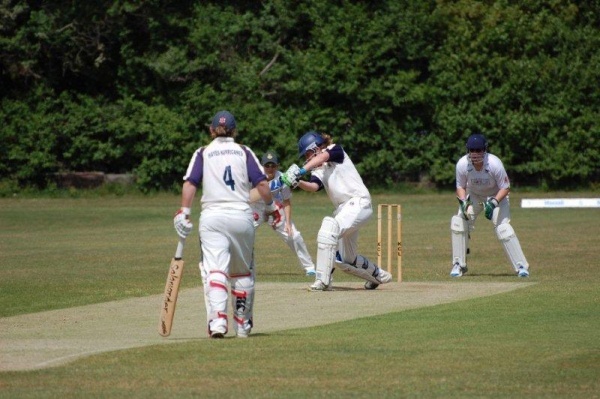 There was then some great batting from Hannah Jelfs who struck the ball to all parts for an unbeaten 62 and was well backed up by Joey Watts who hit a quickfire 28. Hayes finished their Innings on 258 for 9 with Tamara Reeeves being the most successful Bexley bowler taking 3-28. Opening Hayes bowlers Hannah Jelfs and Deanna Cooper removed the Bexley openers and wickets fell on a regular basis throughout the Bexley innings. Jelfs finished with 2-28 and the spin pair of Laura Marsh and Joey Watts did alot of damage taking 2-14 and 3-2 respectively. Dee Tress top scored for Bexley with 21 as they were all out for 102. This result means The Hurricanes remain at the top of the ECB Premier League South and take on second placed Bath in their next match in a table topping clash.